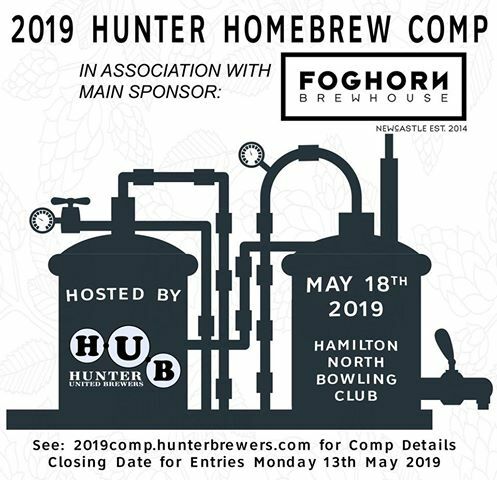 The Hunter United Brewers are hosting the 2019 HUNTER HOMEBREW COMPETITION at the Hamilton North Bowling Club on May 18th, 2019. This competition will be conducted according to the AABC Competition Guidelines and Rules. Prizes will be awarded in four Classes – Lager, Ale, Dark & Strong and Specialty. Visit – 2019comp.hunterbrewers.com for competition entry information.